Make no bones about it, Russia and the USA have not always been the best of friends, which means getting into Russia as a USA citizen can be a bit of an ordeal. I just got mine, and it wasn’t very straightforward. FYI, the process to enter Russia is very similar to that of Belarus, except instead of going/mailing to the Russian embassy, you go/mail to a Belarussian one instead. 1) If your passport expires less than 3 years from the date of your trip, and/or if you don’t plan to return to Russia ever again during the lifetime of your passport, go for a Single Entry Visa. 2) If you plan to leave Russia for another country during your trip but still want to return to Russia for a roundtrip flight home (or elsewhere), AND you don’t plan to return to Russia again and/or your passport expires less than 3 years from the date of your trip, go for a Double Entry Visa. 3) For all other trips (your passport’s expiration date extends beyond 3 years from the dates of your trip and/or if you plan to have flexible travel plans in the future that may include a return trip to Russia), the Multiple Entry Visa makes the most financial sense. 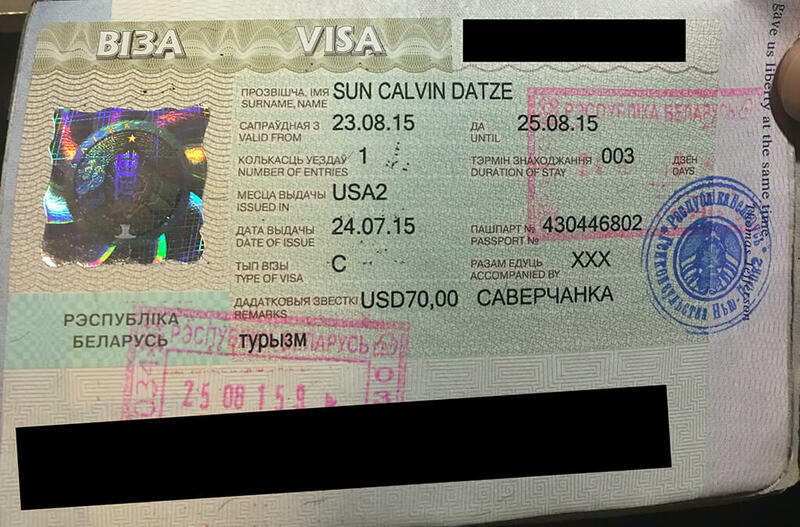 4) If you’re traveling TO or FROM the countries of Belarus or Kazakhstan with a layover in Russia — EVEN if you DON’T plan on leaving any airports and/or you want to save the most absolute amount of money in a literal sense — the cheapest visa is a Transit Visa, which is only $20 cheaper than a tourist visa. A transit visa will allow for you to stay in Russia for 3 days if you’re flying, or 10 days if you’re entering/leaving overland. You don’t want this to happen to you — Belarus and Kazakhstan are considered local territories to Russia, so Russia will want you to have a Russian visa even if you already have a Belarussian or Kazakh visa and even if you don’t plan on leaving its airports. Non-USA citizens must provide a Green Card; or Long-term US Visa (tourist visas not accepted). FYI, they ask you for a list of ALL the countries you’ve traveled to in your lifetime, but don’t worry for those of you who’ve traveled a lot: The answer bank max’es out at 30 countries, so pick your favorite, least controversial 30 states you think Russia will be okay with. FYI, we actually provide this service with the help of our friends at YPT; so if you need one, contact us! IF you’re applying or submitting documents on the behalf of someone else (like a family member or a friend), you need a notarized document indicating that the person you’re applying on behalf of has authorized you to do so. The only difference is that you fill out the full 3-year period as the length of stay in the Russian Federation when filling out the visa application (ex. Date of Entry 25/10/2016 until Date of Departure 24/10/2019-minus one day). Show up at your appointment or mail it in, and you should get it back within 10 calendar days. It’ll cost you extra if you choose to expedite/rush your visa from 10 days to 3 business days ($110 extra), if you want express delivery ($30 extra), if you want Saturday delivery ($20 extra), if you’re shipping from outside the USA ($45 extra), or if you’re shipping it from Alaska or Hawaii ($10 extra). I got turned away once as my visa support letter was incorrect by one day regarding my entry date into Russia, as they took that really really seriously. They also were pretty stern about the Double Entry Visa requiring purchase travel documents. When I said I didn’t have them, they told me to come back to apply for a Single Entry instead with the correct dates on my visa support letter. 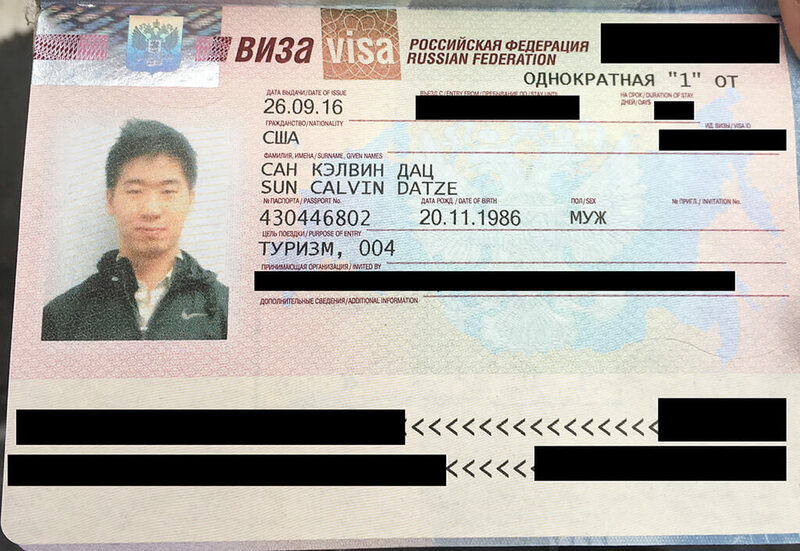 After 10 days of waiting, I finally got my visa to Russia!